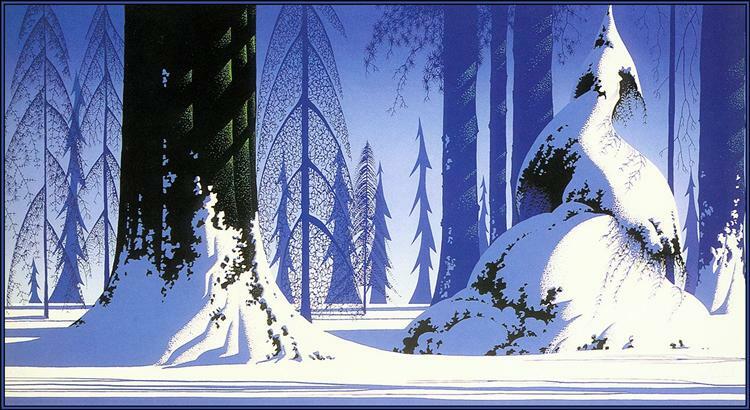 Ever heard of Eyvind Earle? I haven’t, either, until my mom showed me some amazing artwork in a style I never previously knew existed – magic realism. It was primarily a literary style, but evolved to encompass art, too. The art movement began in the first two decades of the 20th century. It is all about putting magical elements amidst an otherwise ordinary surrounding. The film The Green Mile, and basically anything by Hayao Miyazaki, are good examples of magic realism in film. 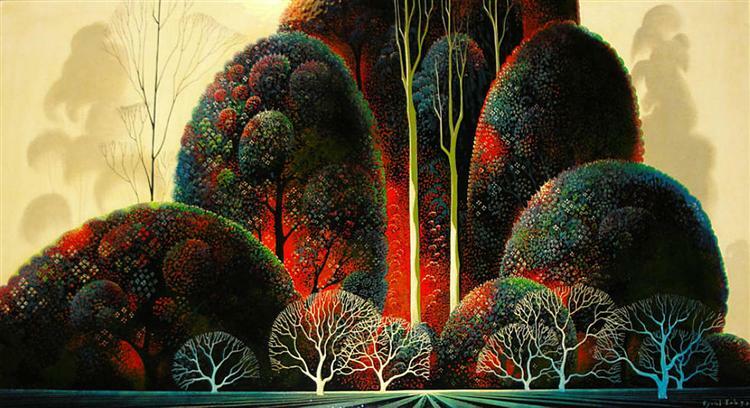 Back to Eyvind. 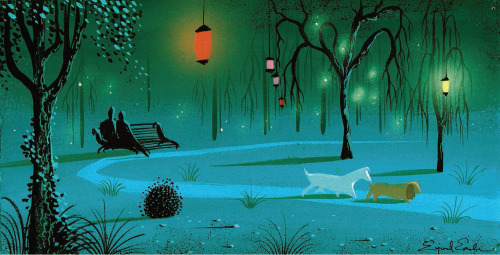 He was an American illustrator and author, best known for his painted backgrounds and concept art for mid-century Disney films. He worked on Peter Pan, Lady and the Tramp, and Sleeping Beauty. I looked at his art and thought that the “magic” part of magic realism is well-earned here. His brave use of color and strong shapes is phenomenal, and the freedom he took with composition and stretching reality is admirable. 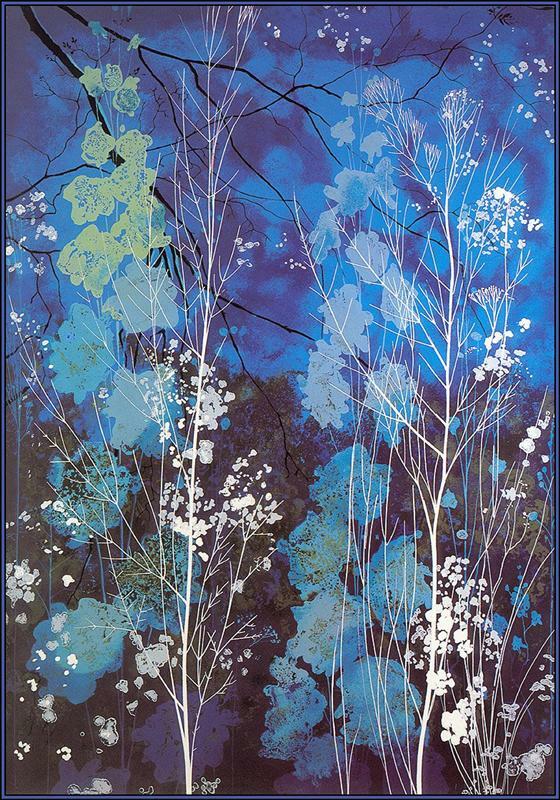 However, Earle worked in a variety of styles and media, going from watercolors, to oils, to drawings, to scratchboard, to serigraphs (silk screen printing). Earle was a prolific artist. The amount of work he produced over his lifetime is staggering. He worked almost until his death in 2000, holding exhibitions as late as 1998. 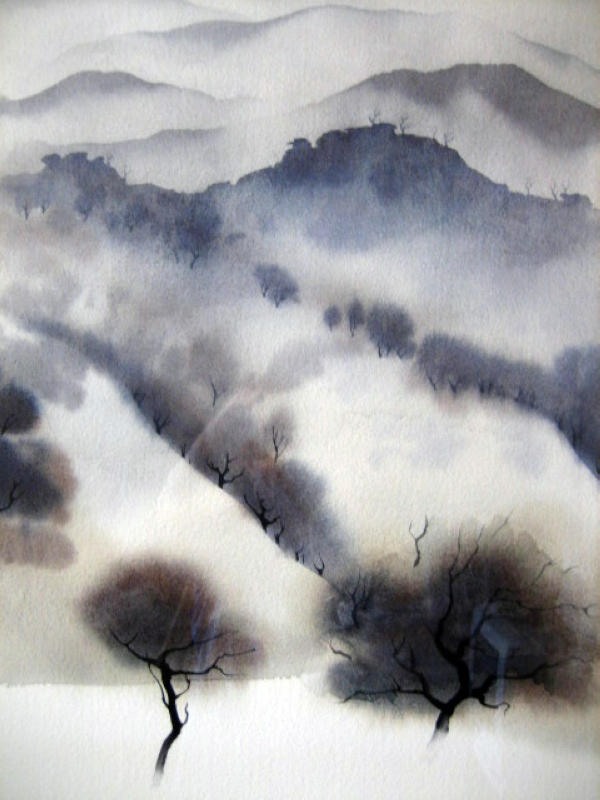 I wasn’t able to find an exact number of his works, but I’m sure it is a large number. This is the kind of art that makes me want to explore 3D further. This is another challenge – another new 2D discovery that has yet to be replicated in 3D. Or maybe it has. 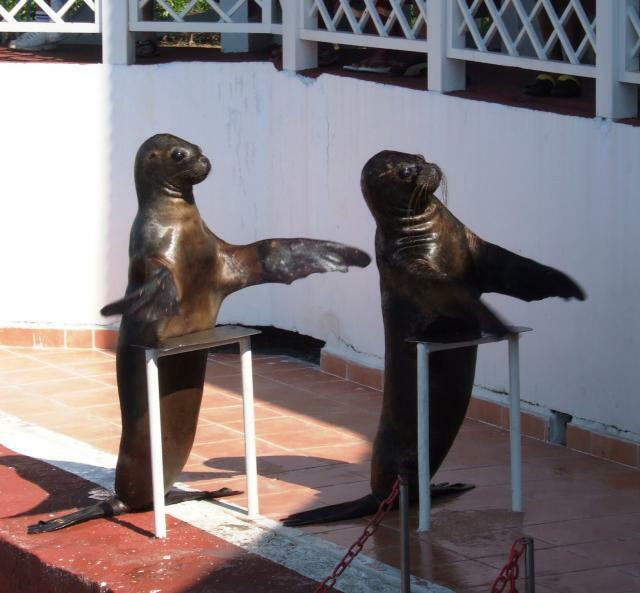 I don’t know, but I would love to figure out how to do it. In the meantime, if anyone wants to buy me this book, please feel free! 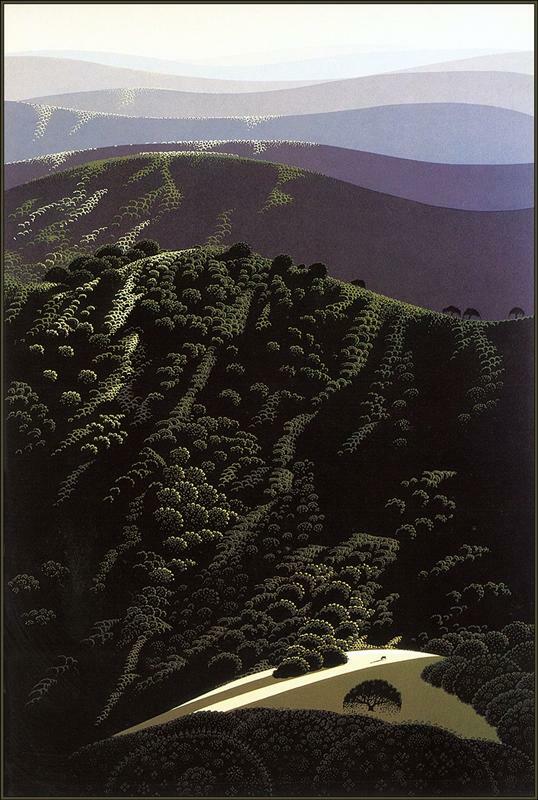 In Lighting & Rendering class, we were given a hilly plane and a tree and new knowledge of toon and surface shaders. Told to do something with that bucket of fun for classwork. Throw in a character or something. So I did! Tonight may have been the first night in many weeks when I actually felt good about my film. For the past many many weeks, it has been stressful, but even more than that, it was disheartening. I was not excited about my film, I did not want to work on it anymore. I had little confidence about it. I had a very clear idea of what I wanted it to look like from the very beginning, from summer, and I believed that there is no way I’d be able to make it look like that. And it was precisely the look of it that drove me to make this film in the first place. So, needless to say, I was really happy last night, because what happened was that I figured out how to make my film look almost exactly how I pictured it. It’s doable, it’s not awfully time-consuming, and not too heavy on render time. Of course, it still took me hours. I was hoping to do something between Maya and Mudbox, for several reasons: ease of transition between the two, possibility of high detail sculpting and painting, and the simple fact that both are free for students (as opposed to, say, ZBrush). And, naturally, I encountered a number of problems. This is what my textures looked like when brought back into Maya from Mudbox. That’s not even close to what I painted, or how I unwrapped the poor little vase. Moreover, Mudbox and Maya have a huge scale discrepancy (get it – “huge scale …”?) that was, let’s say, a pain to deal with. So that didn’t work. And that is the technique I came up with and hope to use for the rest of my film. I am mostly surprised, because I was able to match my far-fetched vision so closely. I am also very happy that I avoided any rotoscoping, 2D overlays, or complex effects. All of this, with the exception of particles and color correction, was done in 3D, and solely in Maya. That means fast results and realistic procedures. Anyway, here are some more stills, because I’m just that happy. I can’t wait to do the rest of the set in this technique. Hope is back in town.